"I've tried everything, I lose some weight but when I go back to eating regular food I regain it all back." I only eat veggies and drink water for two months. These are all examples of fad diets. Some better than others but really what they all have in common is that they tell you NOT to consume certain foods for the sake of maintaining a specific "diet". A Calorie is chemistry. It is the measure of energy stored in food. More specifically the amount of energy it takes to raise the temperature of 1L of water by 1 degree Celsius. Food energy is turned into eat which is how we measure what we understand to be food calories. 70% of weight and body shape is hereditary. This is where we get body shapes like the ones below. However I believe that while you may be predisposed to a certain body shape it isn't an excuse to blame your parents for why you can't lose weight. No matter your body shape there's no reason you can't look the best YOUR body can be. You can lose some weight on any diet, but it comes right back on if it wasn't built upon proper nutrition habits. John goes on a diet to lose weight. And he is able to lose 10 lbs in 3 weeks. John proceeds to tell everybody how great his diet was. He gives full credit to the diet. The problem is John proceeds to go back to his usual eating habits and regains the weight. Instead of blaming the diet, he blames himself. Does this sound familiar? 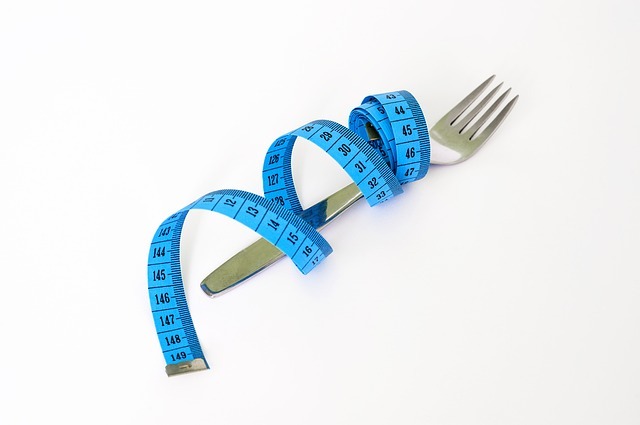 Often times these diets restrict and cut out a large macronutrient. That alone will force weight loss, albeit mostly water and glycogen stores. The diet had very little to do with the person's success and now it damages the individual's psyche because they don't believe they're able to succeed. And that alone is large enough of a reason to not entertain trying these types of diets. Many fad diets have little science to back-up their crazy ideas and claims. This is why the results aren't what you're hoping for. Just because something works for someone else doesn't mean that it works for you. When you're looking to lose weight like getting a thinner waist or smaller thighs, your body doesn't know that's all you want. Metabolically speaking, it adjusts and when you continue to consume the same amount of food you ate to lose weight; you stop losing weight. In the same way that exercise needs to be progressed so too does your nutritional protocol. I don't count calories, macros or use any sort of fancy complicated formula or equation when preparing my food. I did a great job if: I ate real whole foods (especially plants), ate when I was hungry, stopped long before I got stuffed and fit in an hour of movement. Nutritional Science is the backbone of proper eating recommendations. You however don't need to actually know or implement all of that fancy-pants science into your dietary protocols. The healthiest and leanest people I know don’t overthink nutrition science each day. But you know the people who do? Yo-yo dieters. These are the kinds of people who need an app for every single food they consume and freak out at any deviation. Take home: Unless you're an elite athlete or a physique competitor, you don't need to worry about the science. Being healthy and lean for life is EASY without a 4 year degree in Nutrition. Principles over plans. Did you remember to soap and scrub your food? Yeah. No. 2. Healthy eating isn’t black & white. It’s doing your best with what you have. You can have the world's greatest meal plan and guess what? You just ran out of Kale and the store is closed! But..but..my plan calls for kale. NOW WHAT!!!!!???? Great scrap the whole thing, I'm going to eat that pie I bought? Instead if you run out of kale, do you have ANY other vegetables in your fridge? Spinach? Romaine lettuce? Even frozen vegetables would suffice. Being able to make swaps and not just follow a black and white approach to your meal planning is vital to long term success. Take home: Even the best laid out plans can go awry and to make the best of any situation. Often we scrap our plans because we have unrealistic expectations for how we should be eating. 3. Healthy eating isn't calorie counting. It’s paying attention to your body’s natural hunger and fullness cues. This is a tough one for people to understand. They think if only I could eat "x" calories each day, I'd be so friggin hot and ripped. Except trying to tabulate your calorie intake and expenditure is a losing proposition. There are so many factors that can change nutrient density of vegetables and your proteins like: Variables during growth, your cook preparation style, and even varietal of vegetable. For some, if they are unable to count calories they don't quite know what to do with themselves. But if you were to look around the world, there are many people who are in great shape because they are more in tune with their body's hunger cues. Take home: Learning to pay attention and knowing when you're 80-90% (I'm comfortable) versus being stuffed (think after a buffet) is vital to not needing an app for that. Okay let's be honest steamed vegetables and baked fish isn't nearly as good as a hamburger or pizza. You can however retrain your tastebuds to enjoy different types of foods, healthier foods. It takes time but it can be done. It's why we eat something from our childhood that we recall as AMAZING, and now it's only okay. Take home: Food should always taste good, but not so good that it blasts you out in outer space every time. Again this goes back to expectations about how food is going to taste. If you've only been eating big sugary and salty foods, of course the broccoli is going to taste awful. Piggybacking off the last point, yes it's tough to eat 2 cups of roasted cauliflower instead of that basket of fries. Remember the hardest part is starting. Decide to have oatmeal instead of cereal. Choose roasted chicken over fried tenders. Great job! Now there will be a bevy of friends, family, co-workers, Dr. Phil, TV, and magazines telling you otherwise. Stay the course! Have a support system that will back you when things get hard and remind you of the goals you need to achieve. Take home: Luckily the more often you choose being healthy over a late night taco truck run, the easier it will get. I promise you it will. Bonus: Healthy eating isn’t restriction. It's about striking a balance seamlessly into your life so you can make better healthy choices without feeling "deprived"
If I said to a client, starting tomorrow they could no longer have any dessert, I might end up in the poor house. Can't get between a person and their dessert! But what might also happen is said client going home and inhaling all the ice cream, cake and cookies they can get their hands on. There's no such thing as "clean" or "good" foods and bad foods. There's simply food. I recommend to all my clients, indulge a bit everyday. Take home: We don't set restrictions. But we do practice good portion control. Have a few cookies, just don't eat the whole bag! Protein supplements and meal-replacement products containing proteins have four commonly used scientific measure of protein quality. Protein Efficiency Ratio (PER) which is a measure of growth of animals consuming a fixed amount of dietary protein of a single type. Often considered less applicable to humans. Biological Value of a protein is a measure of the amount of protein that is retained from total absorbed quantity for body composition. Net Protein Utilization measure the amount of amino acids available by any one given protein source which are then synthasized in the body as a new protein. Chemical Score is a measure of the concentration of the nine essential amino acids from a single protein source. Whey protein is one of two protein types found in milk often during cheese making, the other being casein. The two type soft proteins are separated from each other and whey was often considered useless. It was discovered that it was a high quality protein. It is a complete protein and contains all 9 essential amino acids and rates well on all 4 measures for protein measures. Whey Isolate: Purest form (90-95% by weight) of whey that is great for those who are lactose intolerant as it has had all the lactose removed. Whey Concentrate: Most common form of whey protein (60-70% by weight). It is inexpensive and can easily be added to different types of products. Whey Hydrolysate: The protein has water added to the polymers breaking them down into it's individual amino acids. This is to help with the body's digestion and absorption. This is a more expensive form to produce. As I mentioned above, casein is distilled through the production of cheese. One for the most important differences in Casein from Whey is that it is an excellent source of glutamine. It has lower concentrations of BCAA's than whey and because of a higher lactose content can be problematic for those who don't digest the sugar well. For many strength and physique athletes the slower digestion aides for longer periods of time when there will not be any consumption of food like while sleeping. Rich in BCAA but contains only a small amount of methionine. Most forms of soy are highly digestible and absorbed quickly but for many it is considered a slightly inferior source of protein. 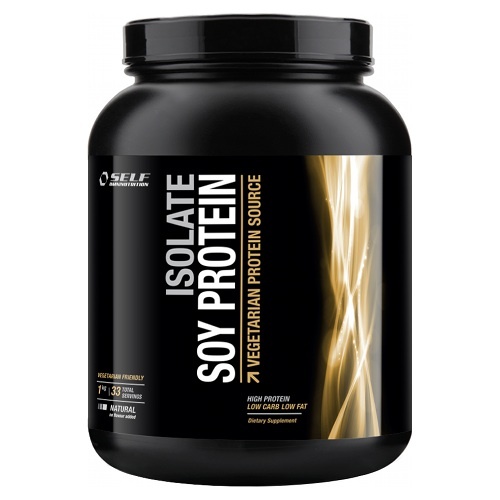 Soy isolate is fortified with methionine which now makes it fairly comparable to whey and casein. One of the disadvantages are the isoflavones (anti-nutrients) which have been shown to have an estrogenic effect in the body. Gluten free, neutral tasting and very budget friendly. May be derived from genetically modified rice. Fat free, contains a full spectrum of essential amino acids. May cause upset stomachs. Often seen as Calcium casein ate. High in BCAA's, contains lactose which may or may not cause upset stomachs. Great source of Omega 3 fatty acids. Provides fiber as well. 100% plant based protein. Which Protein should you take? Well that would vary depending on your goals and dietary preferences. But first and foremost is making sure that you're getting the majority of your protein from whole foods and less processed animal and plant based sources. They're called dietary supplements and shouldn't be considered a main staple of your daily intake, rather in addition to.